The Platypus Education Group Ambassadors teamed up with the Belgrave Men''s Shed to make nest boxes for possums, sugar gliders and bats. 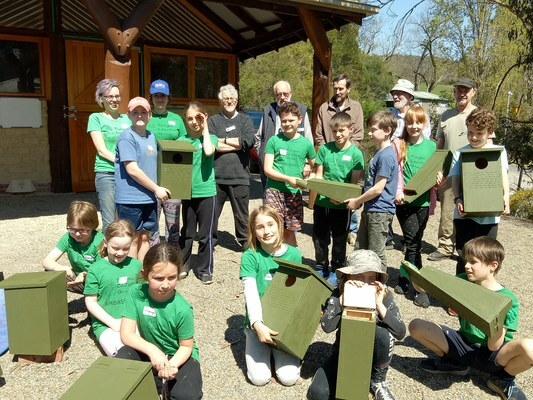 The Platypus Education Group Ambassadors teamed up with the Belgrave Men’s Shed on Sunday 7 October to make nest boxes for possums, sugar gliders and bats. The Ambassadors built and painted 24 nest boxes over the course of the day and Platypus Education Group founder, Jen Ellison said it was for the kids to combine hand-on activities with traditional learning. She said, through the day the 8-12 –year-old Ambassadors were able to learn about the importance of creating habitat for animals. 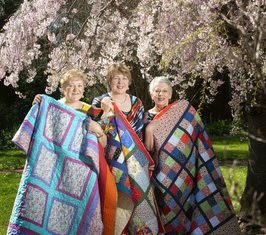 “The men’s shed were great and made the boxes into like an ikea pack, the kids could just hammer into the holes which were pre-drilled,” she said. I thinkt they learnt a bit t of woodwork, that was really good and I think learnt physically how to help habitat and to create habitat, understanding about logs and the importance of creating habitat and that feeling of accomplishment. . The Ambassadors meet monthly to learn different ways to protect the environment and inspire others to do the same. Ms Ellison said that they have already undertaken tree planting, nature photography and litter clean-ups.